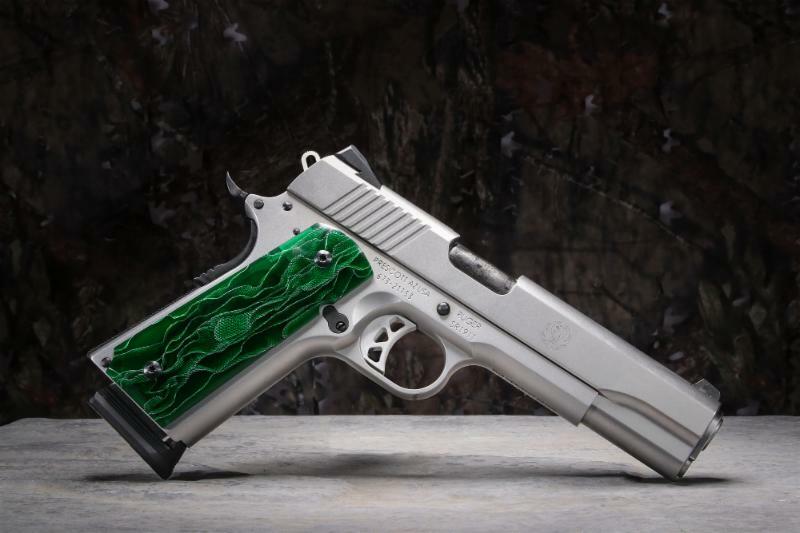 Beauty is now in the hands of the beholding with these new stunning 1911 grips. Middletown, Conn. (April 2019) – Lyman® Products introduces the Pachmayr Alume Series grips by Raffir for the 1911. A master of materials, both natural and composite, Raffir, a Danish company with over a decade of experience in developing and treating materials reaching new plateaus of aesthetics and durability for a variety of products including the Pachmayr Alume grips for 1911 pistols. 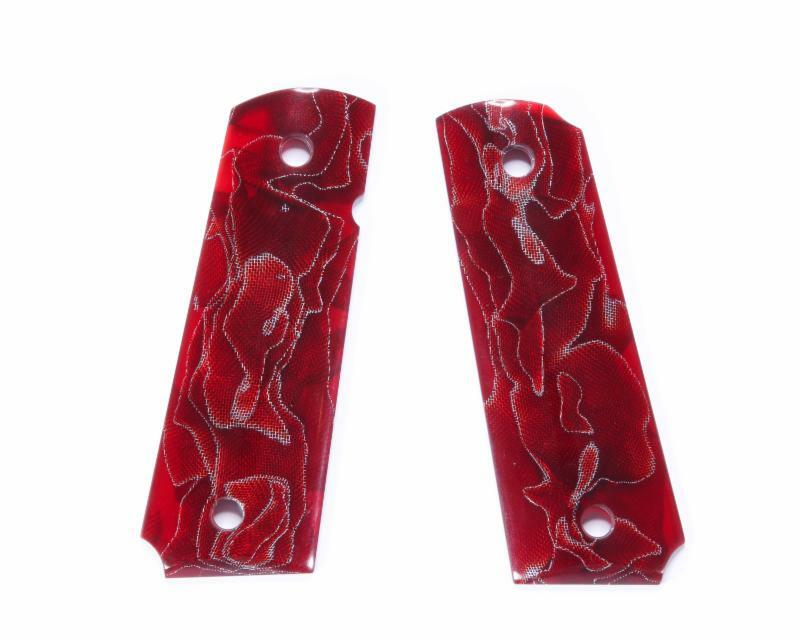 The material used in making the Raffir Alume grips is a composite with aluminum mesh encapsulated in a translucent epoxy resin. The material has a unique 3-D dimensional texture with contrasts between satin light grey aluminum and deep colored, semi-transparent resin. Pachmayr is offering this beautiful new material in 5 different stunning colors for your 1911: black, blue, brown, green and red. The high-gloss, polished finish is almost indestructible and is impervious to water, weather and chemicals, while maintaining its elegant and sophisticated style. Lyman® Products, founded by avid outdoorsman, William Lyman, has been innovating firearms, reloading accessories and gear for over 140 years. Today, using advanced technologies, Lyman is in the forefront of meeting the needs of shooters and reloaders across the world. Whether pioneering the use of digital technology in reloading tools or reintroducing “antique” calibers and bullet molds, Lyman continues to improve and innovate the tools and accessories used by serious shooters and reloaders. This entry was posted in Accessories and tagged Alume, Lyman Products, Pachmayr, Raffir. Bookmark the permalink.